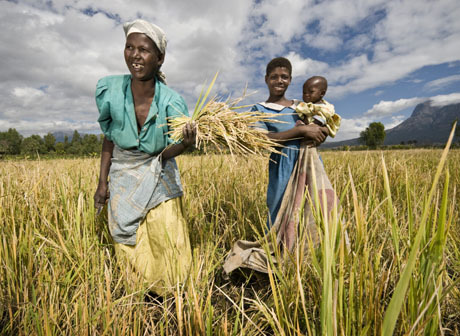 Malawi is one of Africa’s poorest countries with the majority of people working as smallholder farmers. In recent years Malawi’s farming communities have been badly affected by persistent droughts, which have seriously hampered crop production. Frank Kapesa reports from Mchinji about a weather insurance project – the first in Africa – which aims to make smallholder farmers more financially secure in the face of a changing climate. In June 2009 a UN backed report said that this new type of insurance, that covers risks such as droughts or floods could help small farmers in developing countries cope with worsening impacts of global warming. The insurance has started to be adopted elsewhere such as drought insurance in Ethiopia, or disaster insurance for Caribbean islands linked to hurricane wind speeds. The report said that the system could help raise farmers out of poverty as it would allow them to invest more without having to take on all the risk.